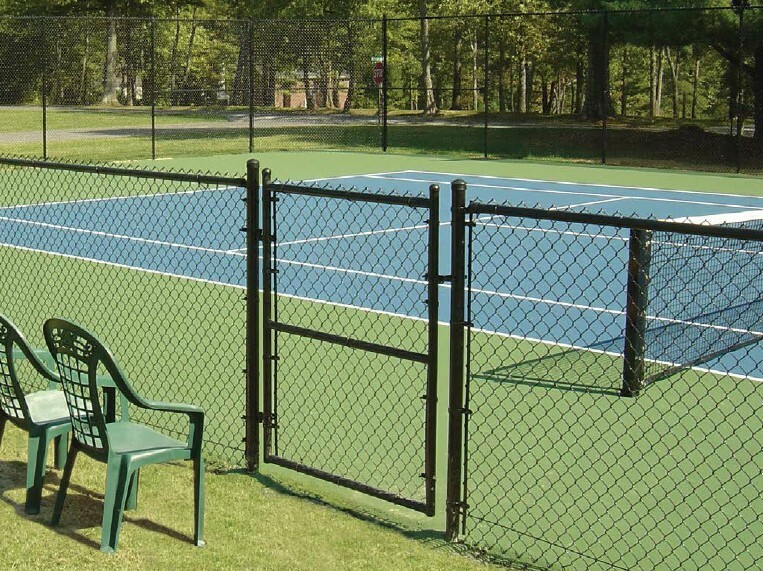 Spectra Bond® is a step above from Cedar Spring Fence’s color commercial and industrial chain link fence systems. It is extruded bonded wire, which is a better alternative to simple extruded wire. The adhesive added before the wire is extruded seals the vinyl to the wire. This ensures years of attractive and reliable performance with a better protection against nature. Fittings are made of galvanized steel with a 3 mil minimum of polyester coating for added protection.